Verizon and Motorola are currently running a deal that puts pretty hefty discounts on the Moto Z family. For flagships like the Moto Z and Moto Z Force, you’ll get a 50% off price, but the Moto Z Play can be had for as little as $5 per month. So how do all of these fun discounts work? Verizon, for months now, has been offering bill credits in order to get you into phones for a really low price. It’s all a bit tricky and involves monthly credits, but in the end, you are getting the phones for those 50% off and $5 per month prices. The requirements are that you buy phones on a device payment plan, wait a couple of months for credits to ready themselves, and then Verizon will begin to credit you the difference in whatever the discount is supposed to be. In the fine print, you’ll see that the Moto Z costs “$26.0/mo less $13.0/mo bill credit for 24 mos.” However, the credits really don’t start for the first 2-3 months and then last for 24 months until all of the promo pricing has been redeemed. Would I buy any of these phones at these prices? Oh for sure. The Moto Z and Moto Z Force are as flagship as it gets, let you take advantage of Moto Mods, and are Daydream-ready. We’ve reviewed them here. 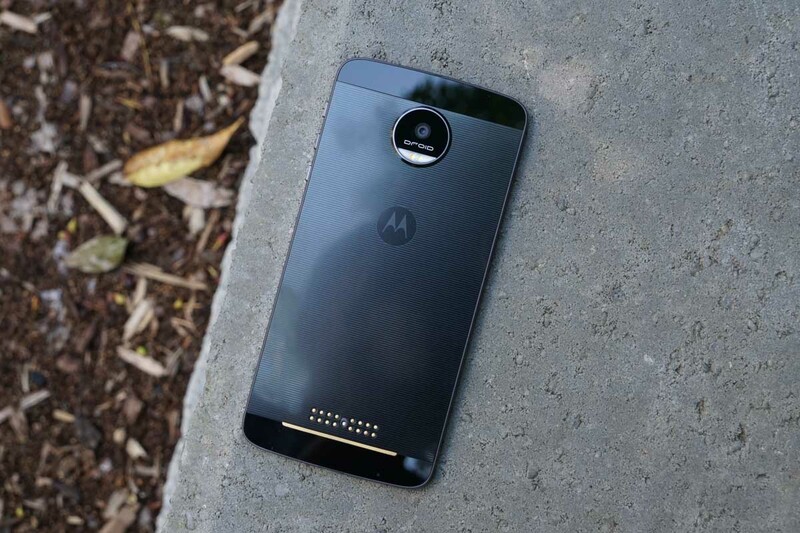 As for the Moto Z Play, well, it’s one of my favorite phones of 2016. It is absolutely the battery champion of the entire world, lets you use Moto Mods, and has a fantastic Android experience, yet you can have it for as little as $5 per month. Our review can be found here.